Anyone who’s been following the news or lives and works in the world of development in Laos has heard of the disappearance of well-respected community leader, teacher and humanitarian; Mr. Sombath Somphone. The founder of PADTEC Laos, a participatory training center focused on sustainable development, has been missing since December 15, 2012. Sombath’s wife Ng Shui Meng, family and friends have tirelessly asked for the community-at-large to help find his whereabouts. There’s been increasing media coverage from Vientiane Times to The New York Times. Mr. Sombath’s colleagues, human rights activists, and public officials of neighboring countries have organized efforts asking for the international community to mobilize and help bring pressure on the government of Lao PDR to investigate his disappearance. Below is a great list of 8 things you can do to get involved from our friends at www.sombath.org. They have been closely monitoring the situation as the attention grows and updates come in. 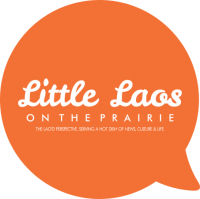 I added two more things you can do to further the conversation on a local level with your Lao community members and public officials. a) Make full use of the information at this website. Copy the text, use the photos and share the links. You can make a difference. Express your concern for Sombath’s safety and security. Appeal to the Lao Government to do all that is possible to ensure the safe return of Sombath to his family. Emphasize the good work that Sombath has done for his country, as an educator, a community development worker and a peace practitioner. Note the relationship between economic development and human rights. A modern country is one that respects the rights of all citizens. Mention that the continued disappearance of a well-known and much-loved person like Sombath could affect the international image of Laos, with possible consequences for investment, tourism, and foreign aid. 9. 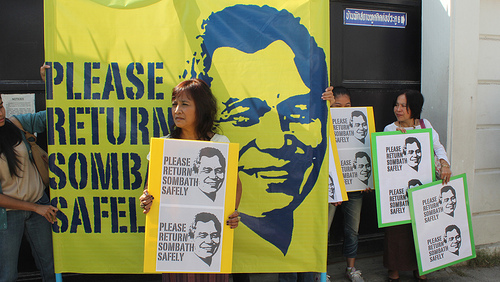 Engage your local Lao community leaders to make them aware of Mr. Sombath’s disappearance, contact human rights organizations, write to your congressmen, and send letters to the U.S. Secretary of State to remind them of Mr. Sombath’s case and to keep the pressure up on the Lao PDR government. By spreading the word on the importance of Sombath Somphone’s work and what he means to the people of Laos, we can continue highlighting this issue. He is a highly respected NGO worker and his disappearance is of concern to everyone globally. 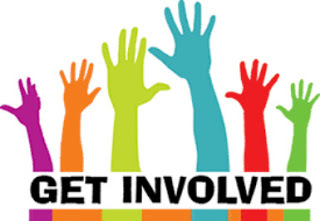 Email a letter with a copy of this ‘get involved’ list and petition. 10. Hold a prayer vigil at your local Wat (temple), church, or any faith-based place of worship. In times of great sadness and tragedy, the Lao are known for bringing together the community in the power of collective compassion and positive energy. Aside from the suspicions of political involvement, diplomatic implications, and personal opinions; we have to remember that a leader known and loved by many is missing. As the world turns the spotlight towards Laos, Mr. Sombath’s case is seemingly becoming the symbol of the fragile progressive state of Laos and the longer we wait for the government’s response, the more the level of concern from the international community (as well as its foreign investors) grows. 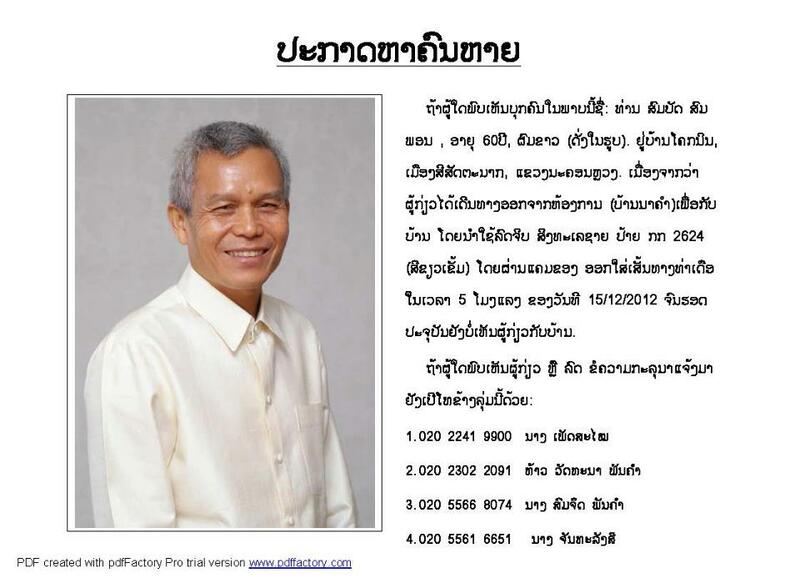 Let’s find Mr. Sombath safe and bring him back home. For more, make sure to check out www.sombath.org for the most up-to-date news. Steps 3 and 4 may be dangerous since, the Lao Communist Party was never a democratically elected governing body. They simply dissolved the government and proclaimed themselves democratically elected, and was UN approved. Furthermore, they comply by their own rules in which elimininating the opposition is at the top. In addition, ASEAN has a no intervention policy, so the UN and international law will protect them while they kill civic leaders at whim. People who mean well by SMS’sing National Assembly officials may get blacklisted and become victims of treachery themselves.